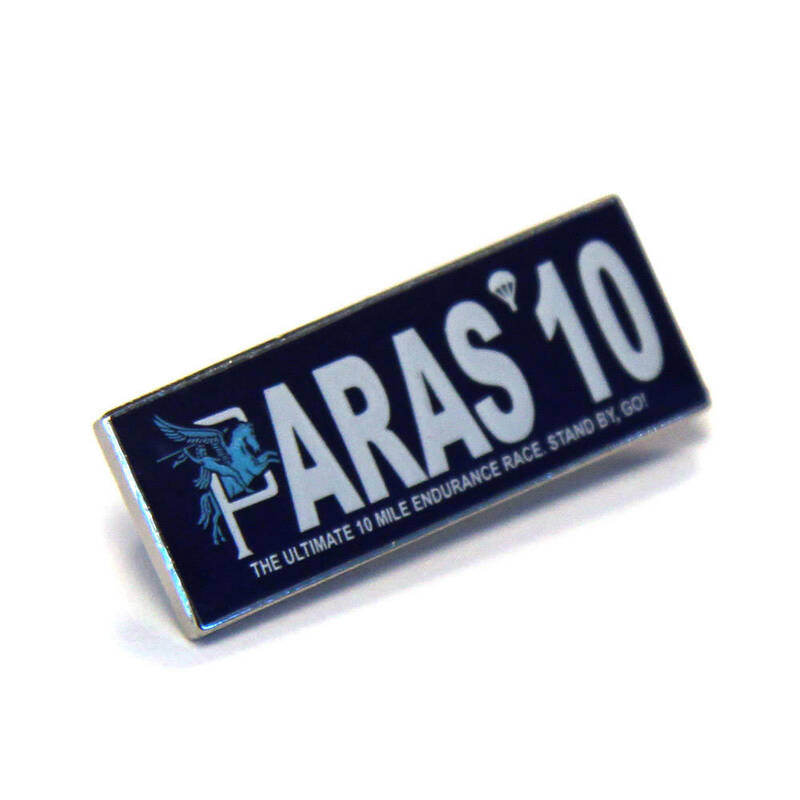 Enamel lapel badge featuring the Paras' 10 logo on the front. Brooch fitting on the reverse. Approx dimensions: 25mm x 10mm. PARAS'10 is the ultimate 10 mile endurance race for Charity, supporting Support Our Paras. 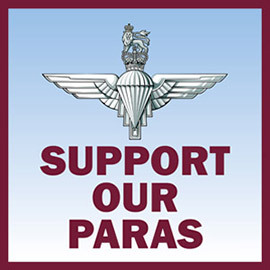 Further details can be found on the Paras' 10 website: http://www.paras10.com.